Since 2001, the Agrostim® Biotechnology GmbH is engaged in the development, production and sales of plant additives based on hormones in food and non-food products with a European network of partners active. In addition to applications in the traditional agricultural crops, we are working mainly in niche markets. These include specialty crops such as tobacco, asparagus, vegetables, herbs, ornamental crops, forestry and challenging tasks in the reclamation of post-mining landscapes. We work with fertilizing, soil and plant nutrient substances based on humic compounds and products with organic acids such as humic and Fulvicsäuren (fulvic acid, amino acid-containing products, tribomechanically machined products for application on leaf, organic-mineral fertilizers with living components and based on natural minerals and natural resources such. B. cocoa shells. All fertilizers have a revitalizing effect on the soil and plants. Our products are based on natural ingredients and contain natural plant hormones such as auxins, gibberellins and cytokinins as mycorrhizae, soil bacteria and activators with Algae constituents. We also offer reactive mixtures of rock and carbon compounds and humic and Fulvicsäuren (fulvic acids) in low molecular weight form. The adhesion and wetting agent on a natural high digested starch form a hygroscopic film on leaf or soil in which all known drugs can be securely embedded. Agents be protected from washing away, extended oils from evaporation, reaction time of the active ingredients. This more efficient use of fertilizers and pesticides of any kind. Biological disinfection without chemical additives, odor-neutralizing antifungal against fungal and bacterial pathogens and biological insect control by decomposition of Chitin and expulsion of insects, likewise. We provide various raw materials in the form of rocks, such as zeolite, diabase, Ditomeenerde and other more and organic compounds, for example based on Neem (Neem) for use in to create even mixtures or application as a raw material for. 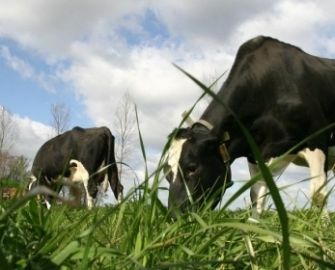 Example, as soil improvement, stable hygiene or also in animal feed. Lignin and rock-dissolving components based on humic and Fulvicsäuren (fulvic acids) and bacterial process, the dissolved components into humus precursors. Ammonia binding, binding of phosphorus in bacterial protein higher nutrient and carbon fixation in the final product. "The soil is the source of all goods and values," said the scientist and chemist Justus von Liebig in 1844. The goods and values, ie plants and fruit, so can only be as good as the ground allows it to thrive. This has Europe in humus, that is at the bottom of life, and thus become less buffer capacity. Ecosystems can nutrients that are continuously supplied from the air about the rain, no longer process partly because the buffering capacity of your soil is depleted. With the existing range of products and similar products on the market to improve the reception facilities or supplied in the soil nutrients achieved and their availability must be increased. This leads to vitalerem plant growth and a higher resistance to diseases and pests. Visit us at Agrifach on the 21st and 22nd of November 2017 at the Bad Salzuflen exhibition center. Visit us with the free e-ticket to the exhibition "Agricultural Contact Days 2015" in Bad Salzuflen! 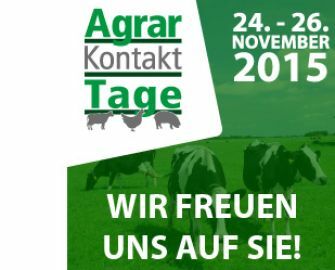 Visit us on the trade fair "agricultural Contact Days 2015" in Bad Salzuflen!